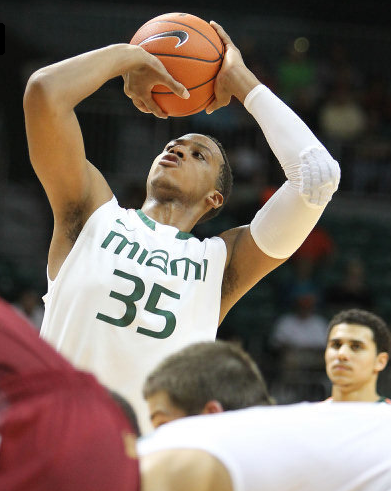 #8 MIAMI 72, BOSTON COLLEGE 50 - Kenny Kadji scored 10 points during a span of four possessions to start a second-half surge Tuesday night, and No. 8 Miami remained unbeaten in the Atlantic Coast Conference with a victory over Boston College (10-12, 2-7 ACC). Reserve junior Rion Brown tied a career high with 22 points, and Kadji had 16 points and eight rebounds in 21 minutes for the Hurricanes, who went 11 for 22 from 3-point range. 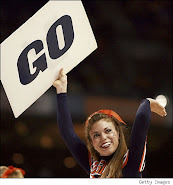 They held an ACC opponent to 50 points or less for the fourth time. The Hurricanes (18-3, 9-0 ACC) have won 10 consecutive games and are 10-0 in their on-campus arena, winning each of the past three home games by at least 22 points. Nine victories in the ACC matches their highest total ever and they are the last unbeaten team in league play among the major conferences. NORTH CAROLINA 87, WAKE FOREST 62 - Reggie Bullock scored 23 points to help North Carolina beat Wake Forest on Tuesday night. James Michael McAdoo added 20 points for the Tar Heels (16-6, 6-3), who have won six of seven since an 0-2 league start. North Carolina put together a 24-5 run spanning halftime to blow the game open and take a 25-point lead on the way to an easy home win. The Tar Heels shot 52 percent and scored 26 points off turnovers to beat Wake Forest for the fourth straight time. North Carolina led by 20 points at halftime and by 34 points after the break. Wake Forest is now 10-12 overall and 3-7 in the ACC. FLORIDA STATE 56, GEORGIA TECH 54 - Michael Snaer hit a driving layup just before the buzzer, giving Florida State a victory over Georgia Tech on Tuesday night. 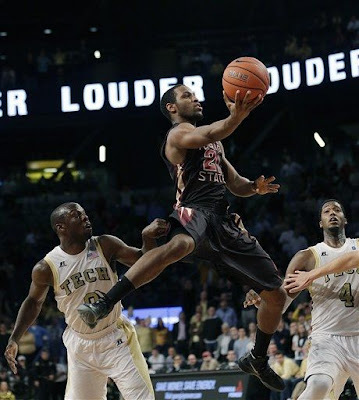 Shocking...Snaer led the Seminoles (13-9, 5-4 ACC) with 15 points. Daniel Miller and Brandon Reed had 9 points each for Georgia Tech (12-9, 2-7). Snaer made up for a turnover on the Seminoles' previous possession, when he let a routine pass slip through his hands and couldn't save it from rolling out of bounds. After Mfon Udofia missed a 3-pointer to break the 54-all deadlock, Florida State rebounded and called timeout to set up the last play.